One of the most effective ways to generate conversions – whether they be subscriptions, purchases or any other action – is through the use of a landing page. These elements can help to bridge the gap between an ad or post and the final action you wish your visitors to take. Through these pages, you can induce more people to act and provide clear instructions for what they should do. Despite the effectiveness of landing pages, many brands have found ways to deviate from the formula and create ineffective variations that neuter their brand’s marketing performance. To ensure that your brand doesn’t suffer this fate, we’re going to talk about some of the most common landing page screw-ups. There is definitely benefit in keeping landing pages as short and simple as possible; after all, you want to keep the process simple for each visitor to maximize conversions. However, many brands conflate minimizing filler with minimizing content in general, leading to inferior outcomes for these landing page variations. When pinging users with content and calls to action, you want to be elaborate in the presentation where it counts. This means relevant information that answers the most common questions and explains such in simple terms. Usually, a high-converting landing page will have between 1,000 – 2,000 words of content, but it’s crucial to focus more on actual content quality rather than mere word count. It’s a fact that not all web pages load at identical rates. Depending on the content of the page, the web hosting provider and several other factors, a landing page could load in anywhere from a fraction of a second to several seconds. Failure to optimize your landing pages for speed is a major mistake that will kill your conversion rate. In order to improve loading times, be sure to remove any unnecessary plugins from your content management system installation. Additionally, any unnecessary multimedia can be removed to slightly improve loading time. Finally, be sure to optimize any elements on the page (such as images) for smaller file sizes and quicker loading times. If the problem is exceptionally bad, then you may require a better, faster hosting provider to fully solve the problem. Landing pages that include multimedia on average perform twice as well as landing pages that consist of mere text. It is important to remember this simple fact when designing any landing page, but it’s also vital to remember that not all content is ideal. You want to ensure that there is ample multimedia in between each major text-based element of the page to keep the reader’s attention; many recommend a relevant form of media every 100 words. You can use a wide variety of elements, including bright colors, videos, animations and other elements to compel the visitor to continue reading. The longer you can keep the person on your page, the likelier it is that they’ll purchase, subscribe or otherwise convert. 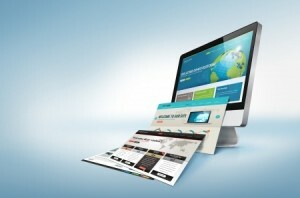 Landing pages are the gateway to better performance for your brand. Whether it is more sales, increased visibility or a greater number of subscribers, pinging users with the most effective landing pages is essential to any marketing strategy. By avoiding the screw-ups listed above, you can dramatically reduce the chances of creating ineffective landing pages for your next marketing campaign.